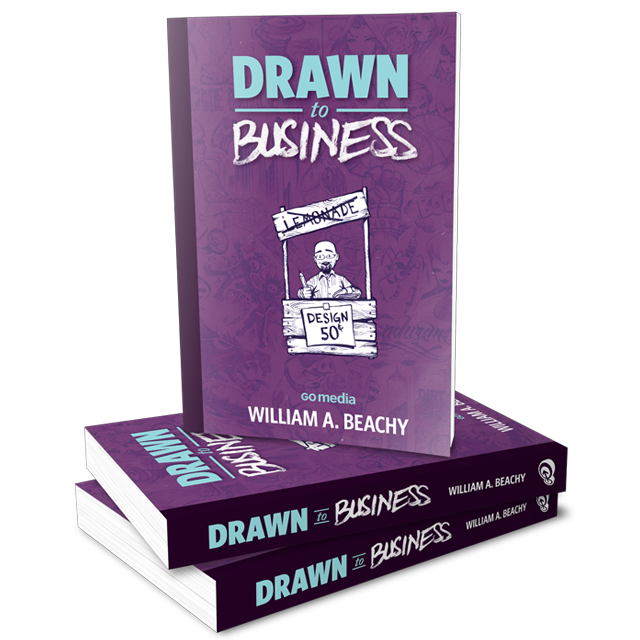 Pick Up the “Drawn To Business” eBook! Are you a designer looking to create your own design firm, but have no idea where to start? Trust us, you’re not alone. Unless you have a trusted business mentor, figuring out what to do can be tough, and you could end up making tons of mistakes which can cost you time and money. William Beachy, president of Go Media, Inc. has got you covered. His new book, Drawn to Business, is a 382 page ebook chock full of information designed to help you build a thriving design firm. So what’s inside Drawn to Business? You’ll learn about proven business systems and processes for designers that will make clients (and you!) happy. You’ll save thousands of dollars with proven pricing strategies so you don’t leave money on the table on your next project. And you’ll get awesome information to help you write winning proposals that will land you those big money clients. Who is “Drawn to Business” For? If you’re just starting out as a designer, this book is for you. If you’ve been freelancing for a couple of years and tired of scraping by on Popeye’s and Top Ramen, this book is for you. If you already manage a small web firm and want to know how others have done it, this book is for you! With over a dozen contributors, you’re bound to find something here that you can use for your business. And guess what? We’ve got two special treats just for the Revision Path community. First, grab Drawn to Business right now for $37. This includes the PDF eBook with 13 chapters of information. This covers everything: fundraising, growth strategy, hiring employees, accountants and lawyers — basically all the hairy stuff. Second, Go Media’s got a free gift for you! Want to test the waters before taking a dive? They’ve provided a great PDF called “7 Tips on Landing Big Clients.” Just fill out the form below and you’ll get it right in your inbox. Special thanks to Go Media for providing this to the Revision Path community!